Serving Easton and the Lehigh Valley, PA.
What is the Condition of Your Locks? Do You Need Lock Out Assistance? Are you seeking for a 24/7 emergency locksmith in Easton, Pennsylvania? 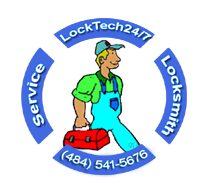 LockTech24/7 is family owned and locally operated locksmith company. We provide happy customers of Easton with automotive, residential, and commercial locksmith services. With years of experience, we became one of the most leading locksmith solution providers in Easton. For this reason, we decided to extend our mobile locksmith services. As a result, we now cover the entire Lehigh Valley and surrounding areas. We provide you with excellent solutions for all your lock and key needs. And with an excellent reputation, LockTech24/7 is counted as the most reliable firm in the region. Our prompt response and professional locksmith services go beyond lockout services. We are helping customers around the clock when they need 24/7 emergency locksmith services. But we can also book your appointment for your upcoming locksmith project. Whether you need a quick lockout assistance or lock repair, we are here to help. Within our emergency services, we can cut a new key to your car or repair your ignition lock. When you stuck in these kinds of emergency locksmith situations, then don’t waste your time looking for another locksmith. We are here to serve you and ensure that your emergency needs are our topmost priority. The industry of locksmithing is expanding in such a rapid way. There are locksmiths who are specialists for certain kinds of security systems. Automotive Locksmiths, Residential Locksmiths, Commercial Locksmiths. As well as Safes and Vaults, Locker Specialists, Security System Experts, and the list go on. At LockTech24/7, we offer highly specialized mobile locksmith experts. Our experts do it all! This mainly because we have highly trained and experienced locksmiths. Alongside knowledgeable and efficient locksmiths who will handle every aspect of the lock. That ensures your confidence that we’re ready to solve your lock and key issues. Our staff is pretty much capable of handling any lock and key problem. From a simple lock change to complicated security system installation. We can do it all. In the last years, our locksmiths are serving the society of Easton PA. And we can assure you gets the help of the best locksmith in town. For this reason, we provide you with a 90 days guarantee on labor and security hardware. Customer satisfaction is our main goal, and your satisfaction is guaranteed. We are mainly famous for our fast and state of the art locksmiths results, coupled with friendly service. If you lock yourself out of your car or dropped out your keys somewhere, call us. 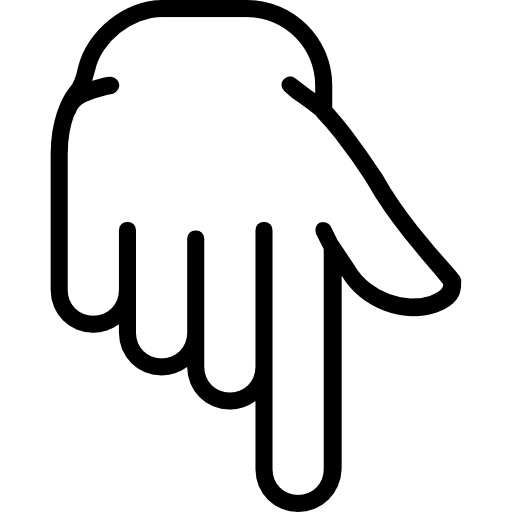 In that case, we will help you to get out from these situations, smooth and fast. We have seen so many incidents where a pet or a child is locked inside the car, and a scared relative is trying their best to let them out. Don’t worry, we’re coming to the rescue. Whether you need these services for your residential or commercial property. Whether you need a residential or automotive locksmith, you will find the convenience of procuring such services through our fast services. LockTech24/7 is fully licensed and insured to protect you and your property. When you need emergency locksmith in Easton, you don’t need to wait long. Maybe you lost your key or somebody stole them.Perhaps, you came home only to find out that there was a break-in attempt. No matter what your emergency consists of. One call to LockTech24/7 can make everything fast and professional. We offer 20 mins response for all emergency locksmith needs. Finding you lock out yourself from your vehicle can be extremely unpleasant situation. At the same time, it may also be dangerous. Especially if you’re stranded in the night waiting in a dark place. Our 24/7 automotive locksmith professionals in Easton are trained to give you fast and professional response. Especially to those who need it right away and right on time. Here, at LockTech24/7, residential locksmith services are likely to be the most common services. We have the experience and knowledge to provide the most effective locksmith solutions to your home. Beyond the ability to open almost every door, our locksmiths can also re-key or upgrading your security and installing new locks and security systems. We’re the best commercial locksmith service providers in Easton, and the Lehigh Valley. LockTech24/7 locksmiths are ready for any job that may come up to secure your business. We’re helping to business owners in the Lehigh Valley to stay secured in all time. Whether emergency lockout or schedule services, please call us for your commercial locksmith needs. We know the Lehigh Valley roads very well, to provide fast and efficient service. For this reason, we offer 20 minutes response. Customer service is the word of success to every business, whether small or large. And we strive for your satisfaction. We provide 24/7 Emergency locksmith services in Easton PA and surrounding area. Please call us now for faster service! We known as one of the fastest locksmith company in Easton, Pennsylvania, and most of time we arrive to see smiling customers. Our wide range of locksmith services keep us as a one-stop mobile locksmith shop to many of our customers in Easton, PA.
LockTech24/7 locksmiths have the degree of skill to perform and complete your specific needs using our excellent workmanship.